Large albumen, 9-1/2’ 7-3/4” to larger mount. 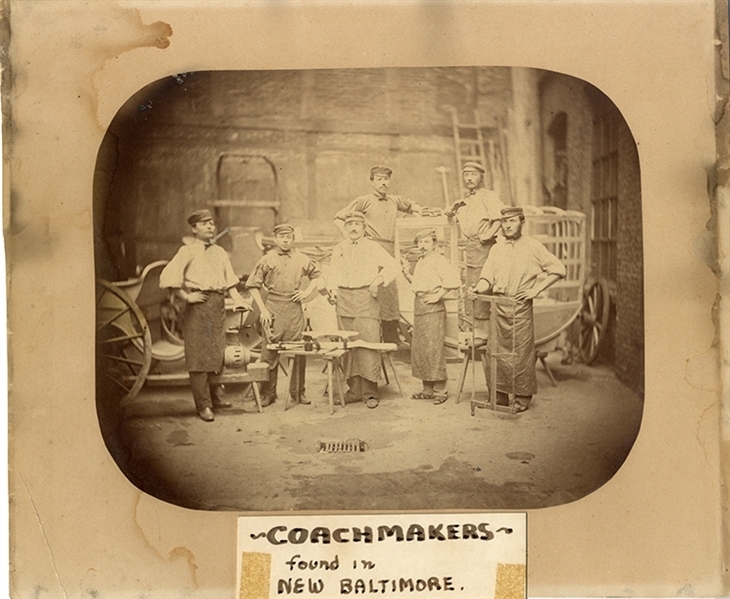 Sepia image shows six wood workers with mallets, planes, saws inhand. There are several partial carriages along the wall. A couple of the men look young. Nice image. Some soiling on the mount’s edge, image is VG.